You are here: Home / Uncategorized / Time to Vote – Muscogee Moms’ Choice Awards! 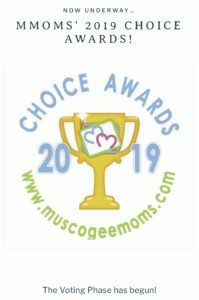 The 2019 Muscogee Moms’ Choice Award Nominations are in and we are honored to be nominated in the “Best Private School” category. Congratulations also to St. Luke Preschool and Early Learning Center (“ELC”) for also being nominated in their respective categories. The voting has begun and soon we will know who the choice award winners will be! Please share your Lion Pride by visiting www.muscogeemoms.com to cast your vote for St. Luke School, Preschool, and ELC today! For a quick link to voting click here. Voting ends at midnight on February 2nd. « It’s Junior Kindergarten and Kindergarten Sign-up Time!